The world is full of old books stuffed into boxes in attics, collecting damp in cellars and gathering dust on the shelves. Yet just because a used book is as old as time, doesn’t mean that is rare or even antique. A vintage or antique book will ignite all of the senses, it will have a certain feel, a certain touch, a certain smell and will get into your soul. The pages may have crinkled and yellowed, the leather binding may have soaked in oils and colors from peoples fingers over the years, and the whole book will permeate the scent of time. 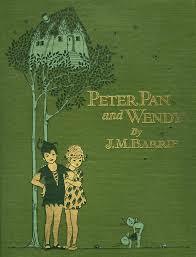 Vintage and antique books can be extremely valuable, providing you get the real deal. It’s important when actively seeking out vintage or antique books that you understand what you are looking for and know how to spot the real deal from a fake. Even though you shouldn’t judge a book by its cover, when it comes to antiques this rule should get swept under the carpet. Antique and vintage books may be bound in luxurious leather for the wealthy readers of the 19th century. However many books have been rebound in leather to make them more appealing, so you need to check how the leather has aged to see if it is a real rare find. Anything with a dust jacket will be post 19th century. As soon as you thumb through a book you should find the copyright page. This is your key to the mystery of the books age. All modern books will include information on the publishing date and the edition year. Older books however may not have this information and this is where many collectors start to feel that tingle of excitement. Your next step in distinguishing if a book is vintage or antique will be to research everything you can about the book and the author. Knowing an author’s timeline of work will help you to pinpoint when this book was published. You should also brush up your knowledge on printing methods used in each century as many seasoned collectors can tell a books age by the feel of the paper and the look of the text. You should also check that the book has its original binding intact as a rebound book can lose significant value in the eyes of a book appraiser. If you happen to stumble across the following kinds of books on your journey through the world of literature you should certainly start planning a professional book appraisal. 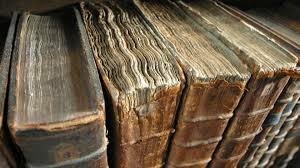 Anything printed before 1501 should send a shiver down your spine as should American books printed prior to 1801. It is also worth looking out for banned books of which only a few copies would have survived. Popular authors and universally known titles that are first editions such as “A Catcher in the Rye” or children’s books like “Peter Pan” are also sure to raise the eyebrow of a book collector. One of the most important tips you can receive as a book collector or someone interested in vintage and antique books is to spend your life around books. The more rare, vintage and antique books you touch and see and feel, the better acquainted you will become with the real deal. You need to take your time immersing your senses in old books, leaf through them and get a feel for the pages, touch the cracks on the spine and use your nose.